Not surprisingly, the first thing you want to do is roast the garlic. Well, technically the first thing I did was soak my dry chickpeas overnight and then get them boiling in water. Feel free to avoid this step and use canned chickpeas if you’d prefer. It will certainly speed up your prep time and make this even that much easier to make. Anyway, back to the good stuff- the garlic! 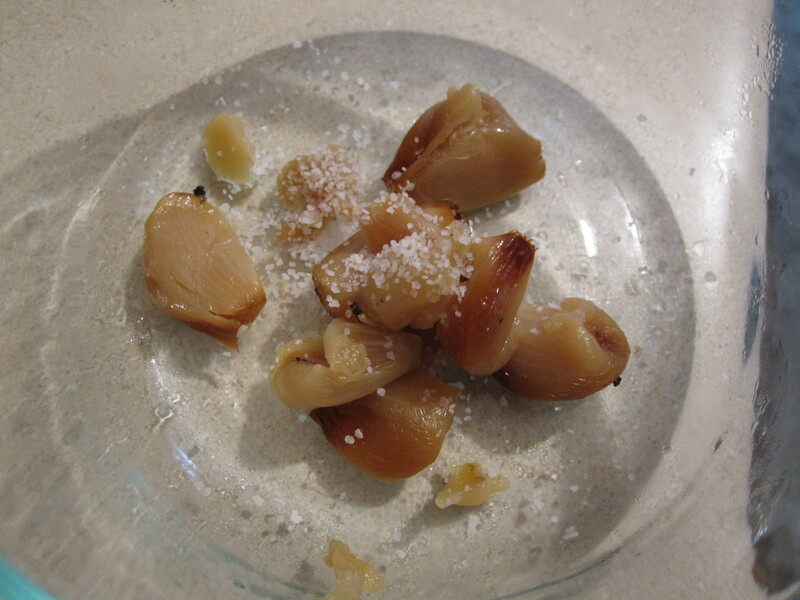 Cut the top off the bulb, drizzle with some olive oil and sprinkle with salt and pepper. 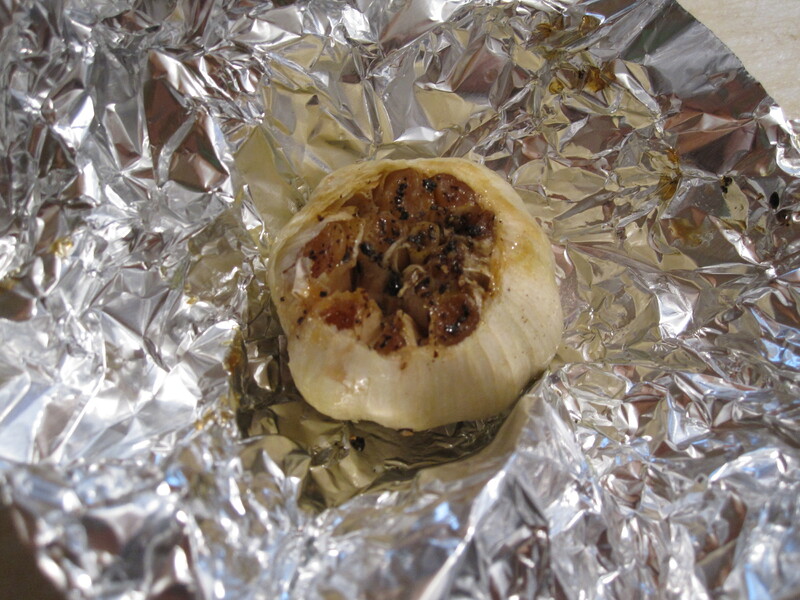 Wrap up the bulb in tin foil and roast in the (toaster) oven for about 45 minutes. Once it’s cool enough to handle, squeeze out the garlic from the shell. It should be relatively easy to do. 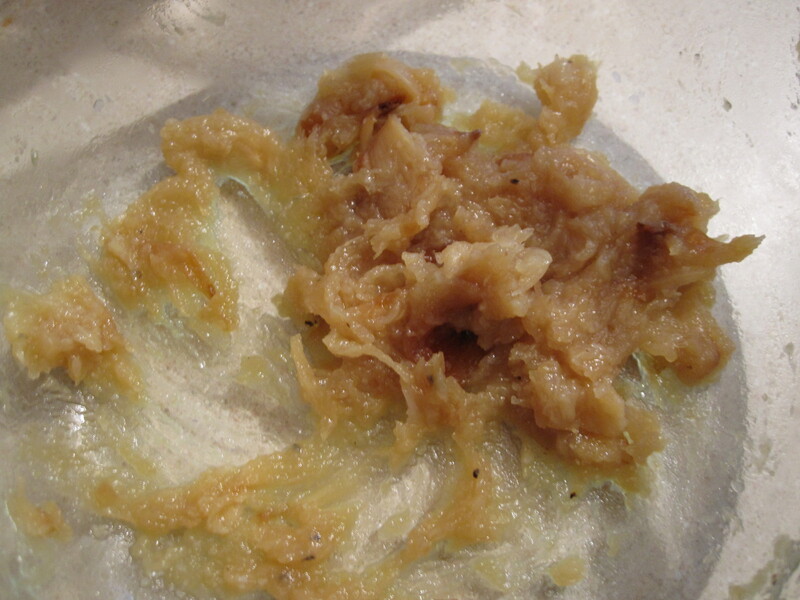 Sprinkle with some salt and mash it up into a paste. Add this to the food processor along with 1/2 cup tahini paste and a little water. Blend until it forms a smooth, white liquid. Then add the 1 cup of chickpeas, about 1.5 tsp each of salt and pepper, juice from 1/2 a lemon, and pulse. Drizzle in about 1/2 cup of olive oil as the mixture is blending. Taste and add more lemon juice, S &P, etc as needed. Top with paprika and olive oil. Serve with pita chips and veggies! Delicious and healthy. Hope you enjoy! 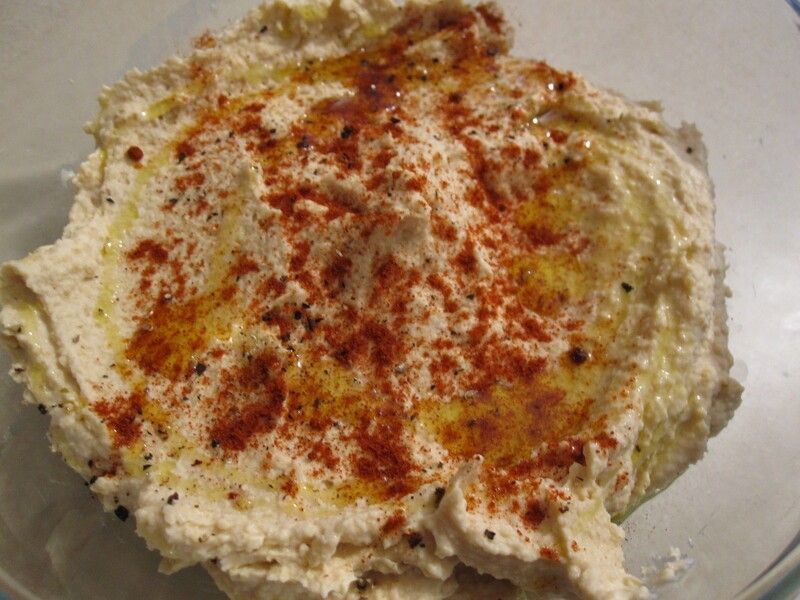 This entry was posted in Appetizers, Recipes and tagged chickpeas, homemade, hummus, lemon juice, party recipes, Paste, recipe, roasted garlic, roasted garlic hummus, super bowl ideas, tahini. Bookmark the permalink.